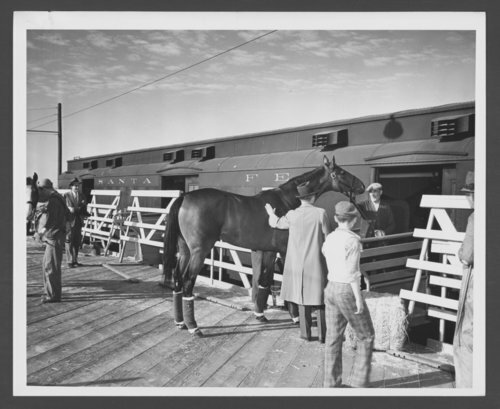 These two black and white photographs show the thoroughbred racehorse Stagehand with trainer Earl Sande. The first photograph shows Stagehand being loaded into a special Atchison, Topeka & Santa Fe Railway Company railcar bound for Louisville, Kentucky. The second image shows Stagehand and Sande at the Santa Anita track.